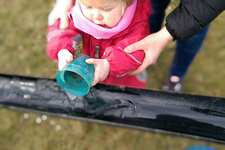 Parents and Tots is a lottery funded volunteer run group that organises fun pre-school activities at The Link, Loanhead. Our groups and activities are all designed to support families through their parenting journey. All are welcome, no need to book. 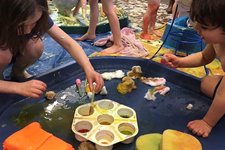 Our kids’ sessions encourage Muddy, Messy and Active play. 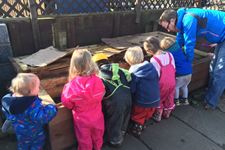 We want all children to enjoy creative learning using music, arts and the outdoors. We also run antenatal and post natal classes and offer breastfeeding support. Parents and Tots host a weekly JUNO perinatal mental health support group. 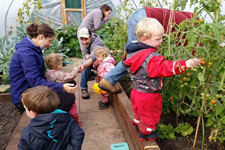 Our Grow Together Project won the National Lottery People’s Projects 2018 Competition for STV East. 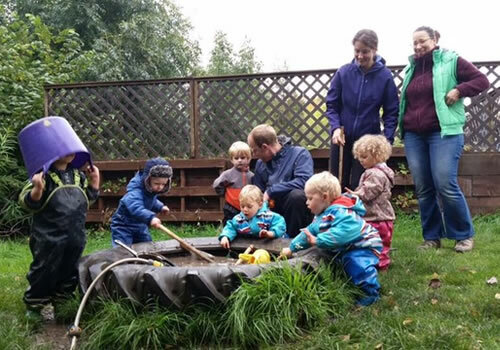 With this funding we have been able to renovate our Community Garden and greatly expand our range of sessions.